Every once in a while I mentioned that I love looking at architecture. Precisely at sacred architecture aka old churches – and not only since I read Ken Follett’s “Pillars of the Earths”. I am in awe of what mankind was capable of so many years ago when building techniques were less evolved. So much dedication, so much craftsmanship in masonry, carpentry and arts in general. Imagine you are a humble human being in the Middle Ages wandering for days to reach the big city and being greeted by a gigantic structure like that. Of course you can argue it was intimidating and forbidding but I believe it would have been amazing. I have seen quite a few churches on my travels. Just recently I have discovered that I unconsciously created a shortlist in my mind. So for all my fellow architectural admirers here is my list of favorite sacred buildings. Historical importance: The church is part of the castle complex and sits on top of a hill overlooking the city. 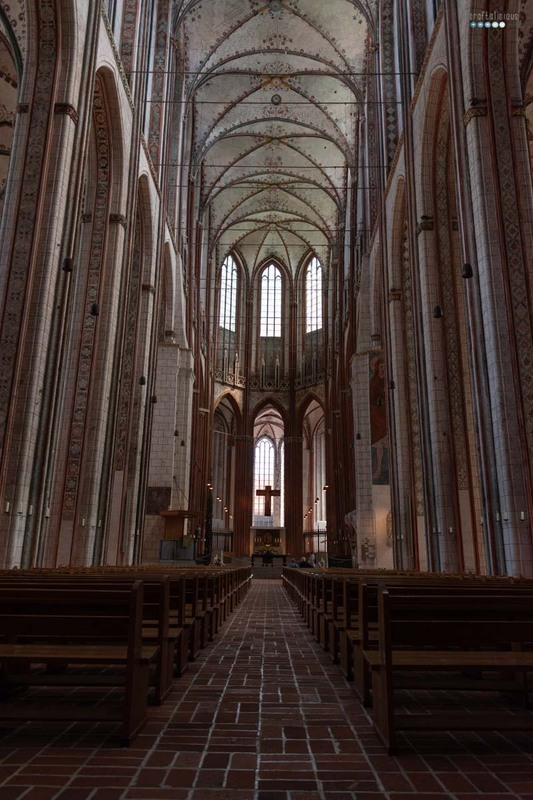 The master builder who started the construction – Matthias from Arras was a geometer and influenced the footprint of the building – a triple-naved basilica – and laid groundwork for the structure. After his passing the 23-year old master builder Peter Parler took over who was a trained sculptor and woodcarver. And this you can see in the entire church. He saw architecture as sculpture. He invented the so called Parler-vaults – double groined vaults which enabled wider ceiling width and at the same time created a net-like ornamentation. State of the art tracery and no identical window throughout the church are another pioneering feature. The St. Veits Cathedral had a high influence in the Late Gothic Architecture in all over Europe. Fun fact 1: Due to a legal dispute over ownership only 7 people have a key to the regalia of royalty that are stored here. Fan fact 2: The church has 7 bells – the biggest being 13,500kg – which are still being rang manually by 4 people until today. Why I love it: This is the church where it all started. I have first seen it when I was in my early teenage years and have come back two more times to see St. Veits Cathedral. The outside with its flying buttresses is just breathtaking. And the vaulted ceilings in the inside are in no way inferior. I also like that it is located on a hill and you can actually make out the gigantic and impressive architecture from afar which is not always possible with churches that are within cities. Unfortunately all my photos are still analoge but there are many on the web. 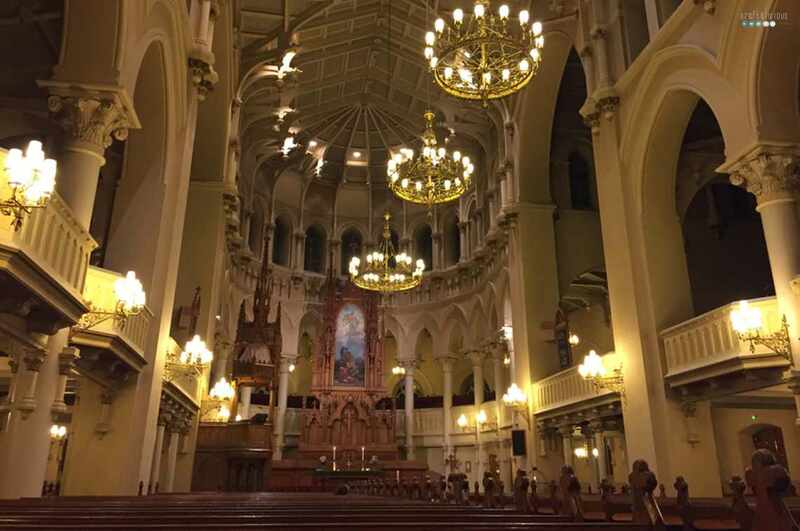 Historical importance: It is the largest stone church in Finland by seating capacity and has very good acoustics. Located on a hilltop were there used to be the midsummer festivals. The church is – compared to others on the list – not that old. The outside is red brick and sits on a massive granite footing. The interior used to be a greenish-grey color but was changed in later renovations to a light-cream color. It was build by Adolf Emil Melander who also designed the seats, pulpit, altarpiece and font. It all has a ornamental feel to it. Why I love it: We actually stumbled into this one and I had no idea about it beforehand. I liked it from the outside, it was already dark and snowing and it just gave off an interesting vibe. A sermon just ended and people left so we were able to have a peek inside and I was just stunned. It was a serendipitous find. Only later I learnt of its importance. Historical importance: It is the highest brick building with the tallest brick vault ceiling in the world and the first of it’s kind. 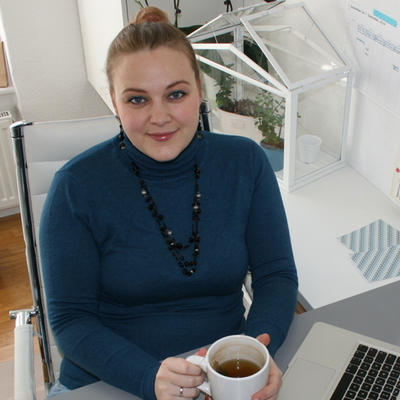 St. Marien was pathbreaking for 70 further churches in the baltic region. While on the outside its red brick shines bright the inside of the building is very calm. All was painted white and detailed floral frescos have been painted throughout the church. The church was destroyed in 1942 during a bomb raid and many of it’s artefacts and paintings burnt down. The fallen down bells have been preserved and it is humbling how they lay shattered on the floor. Immediately the church received an improvised roof that prevented further damaging and the re-building started 1947. The reconstruction has made it possible to cater to modern needs such as floor heating and more minimalist interior design. However it also removed some art historically pieces and is still controversially discussed. Fun Fact 1: There was a scandal regarding the reconstruction of the fresco in the 1950s as one of the restaurateurs Lothar Malskat “invented” missing pieces of the frescos. After self-indictment the paintings were washed off. Günter Grass refers to this incident in his book “The Rat”. Why I love it: The brick building style of the baltic architecture is just so unique and different. And also so impressive. I mean it is just bricks and then the ceiling is almost 40 meters high. It has a modern feel to it when entering while still holding the impressive architecture maybe even caters to it. The whitewashed walls and simple window decoration focus on the structure instead. 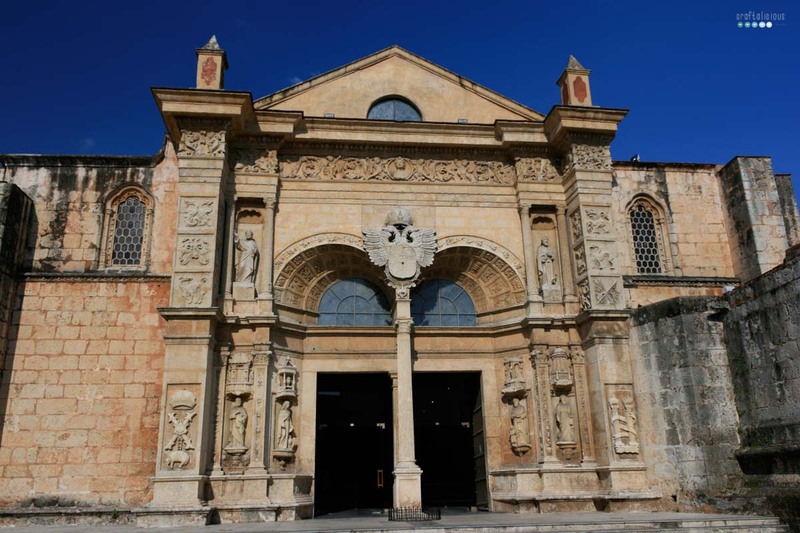 Historical importance: It is the oldest church in the “New World” and (since 1990) part of the UNESCO World Heritage Site which expands around the old town of Santo Domingo. The three doored entrance is rather unique as two doors are gothic and one baroque. The cross vaulted ceiling and limestone walls are really impressive and give of a golden coloured look. Fan Fact 1: It is said that the church was the resting place of Christopher Columbus (before moved to a site a few miles away) however there is a dispute going on with Spain who claim they have the remains. Fun Fact 2: The 500 year old doors are opened by the same key every since. Why I love it: When I first saw this church it really hit me were I was standing. The sky was bright blue and the limestone was contrasting against it. The building style was just so different from churches in “The Old World” and it felt somewhat surreal. As often the outside impressed me much more than the inside. However for a Catholic church it was not as overly decorated and pompous but still rather gloomy. However it was fascinating and I would visit again when being in Santo Domingo. Historical importance: For this building renowned architect Eduard Knoblauch and Friedrich August Stüler were contracted. The oriental style with it’s gilded dome and terracotta front was unseen in Prussia. During the Pogroms Night 1938 arsonists set the synagogue on fire. Contrary to orders policeman Otto Bellgardt and superior Wilhelm Krützfeld intervened and called fire brigades argumenting it is a heritage-protected building and saved the building from burning down. Unfortunately the main synagogue was still destroyed in 1943 during British air raids. Remains have been savaged for building material and the dome had to be blown up due to safety reasons. Only in 1988 it was decided to rebuilt the facade and a few rooms behind. 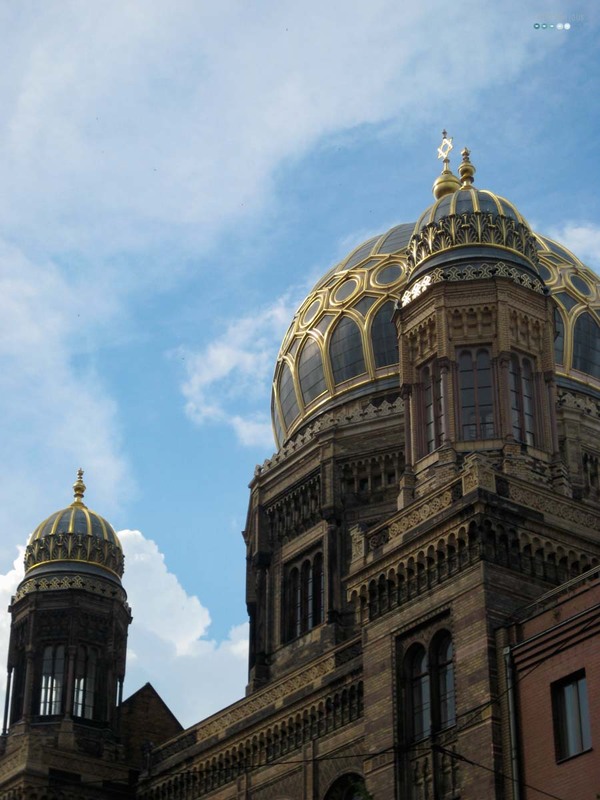 It now hosts a museum about Jewish life in Berlin. “Fun Fact”: Due to the bright color of the cupola it was camouflaged during WWII to avoid falling victim to air raids. Why I love it: For me this place feels like home and I walked by it daily. Being part of the Jewish volleyball team Makkabi allowed me access to the parts of the building which now inhabit a gym from which we could see the dome while practicing. This also had me attend service once here (and once in a Prague synagogue). Seeing the golden dome always makes me happy. It is were I went to pay me respects on November 9. There are couple of sacred places I would have loved to see from the inside (or closer up) however I was not able to enter for not being part of the congregation or the religious faith. So if you ever made it to the following places please let me know how to get in: Dome of the Rocks, Jerusalem and Upensiki Cathedral, Helsinki. And of course there are many more I want to see. Now please share your favorite building I need to see and put on my list. Thanks so much for sharing these with me, Tobia. There are some fantastic choices here. I’m starting to get quite tired so I’m heading off now. Rowena recently posted…Weekend Coffee Share…12th November, 2018. Oh this is a wonderful church and I would live to see that one. Maybe I will make it there one day. Thank you for letting me know of this place. Beautiful. Churches really have amazing designs…. especially considering when they were built!